Welcome, Cave Dwellers, to the world of the Man Cave! You are about to embark on a prehistoric journey from the darkness and dampness of the earliest cave to the more modern — but not necessarily any more glamorous — Man Cave. So let’s start with the most obvious question: What is a Man Cave? 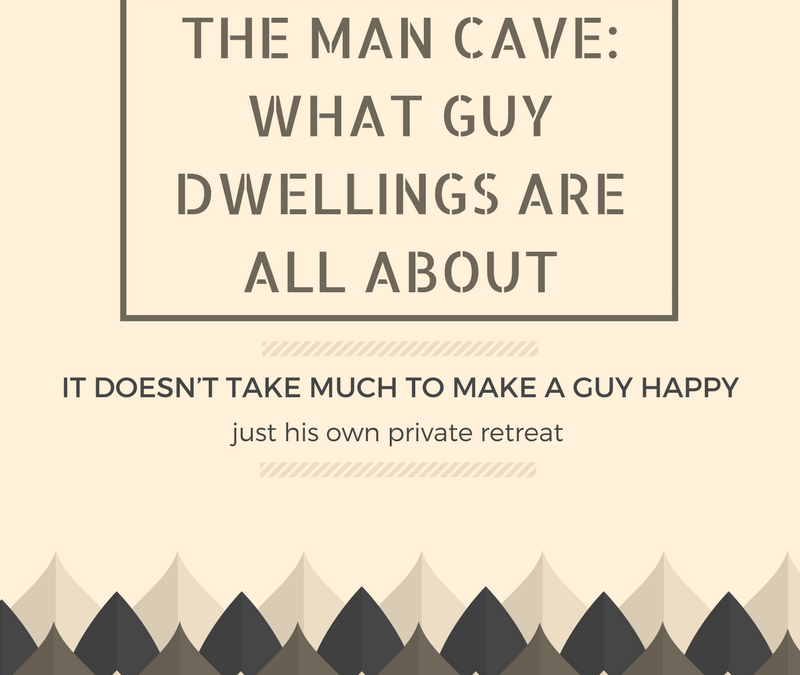 The dictionary defines it as “a room or space (as in a basement) designed according to the taste of the man of the house, to be used as his personal area for hobbies and leisure activities.” Simply put, a Man Cave is a place where a man can be a man! Do we really need a Man Cave? Most people would say no. But in truth, having a place where you can go and “recharge” is very healthy for any relationship. From my experience, most men who own a Man Cave are usually married. Single guys will tell you their whole house is a Man Cave. But that doesn’t really fall within the definition of the term. So, what makes a Man Cave a sacred place for men? Well, to be honest, it doesn’t take too much. Men are very simple creatures — it doesn’t take much to make us happy. Give us a recliner and that old TV (you know the one) in the basement or separate room of the house and we’re content. Most Man Caves start out very small and continue to grow as space allows. Man Caves are never completed; they are always a work in progress. That is what makes having a Man Cave so much fun. Now to dispel one of the most common myths associated with Man Caves: “Women are not allowed.” This statement could not be further from the truth. Women are allowed (although some insist it’s by invitation only); they just do not have decorating authority. After all, the Cave’s primary purpose is to provide a place for the guy and his friends to socialize and unwind, free of female influence. To my mind, there is no such thing as a bad Man Cave. The decor is a true reflection of the owner’s personality. Walk into any guy’s self proclaimed cave and you can read him like a book. A sample of every aspect of his life or interests can be found tucked away in the darkest recesses of his dwelling. It doesn’t take much money or space to get the ball rolling. Just start out small and let the power of the Man Cave community be your guide. Build it and enjoy it! Cave On! Like this article? Get more by following us @WorkbenchLife or friending us on Facebook at The Workbench Life. Michael H. Yost is co-author of The Man Cave Book and founder of ManCaveSite.org. Michael is also a frequent contributor to The Workbench Life.